Rare 4-Track Mag Print! 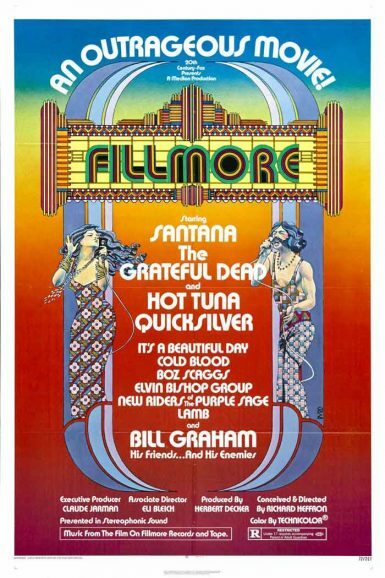 Part concert film and part documentary about legendary Bay Area concert promoter Bill Graham, Fillmore covers the final week of shows at the historic Fillmore West in July 1971, featuring jaw-dropping performance footage of Santana, The Grateful Dead, Jefferson Airplane, Hot Tuna, Quicksilver, Boz Scaggs, New Riders of the Purple Sage and more! Marc Edward Heuck writes about Fillmore for the New Beverly blog.